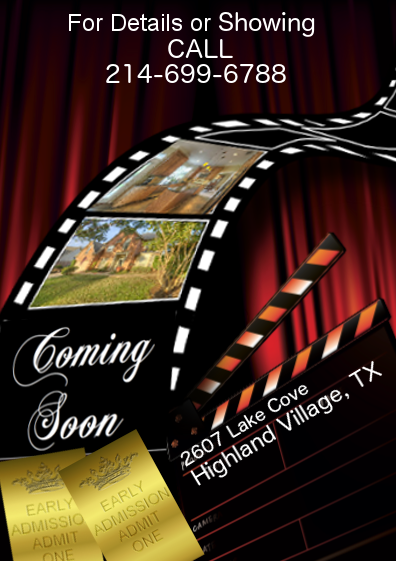 2607 Lake Cove Highland Village, TX 75077 … Coming Soon! Lucky you, this gorgeous dream home … is now available! It’s perfect!!! This beautiful home is tucked into one of the most well appointed neighborhoods in Highland Village. The relaxed atmosphere of suburban living with superior schools, excellent medical facilities, premier shopping, a variety of restaurants and more. It’s close to the shores of Lake Lewisville for the avid water sports lover and conveniently located to DFW international airport for those who love to travel. Highland Shores is a private haven, a recreational paradise, with its rolling hills and mature trees and miles and miles of jogging paths, 8 tennis courts, 3 swimming pools, nature paths, ponds and play areas which allows for its residents to be as social or as private as they want. Residents here can attend the scheduled social events at the community center or reserve it for private parties. 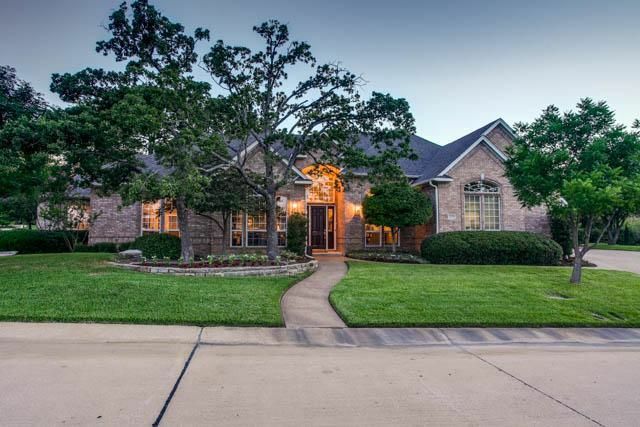 Location, location, location – this home is nestled on an oversized .557 acre lot in a quiet cul-de-sac and walking distance to the shores of fabulous Lake Lewisville. This home welcomes you and your guests with its grand entrance and stunning wall of windows, overlooking a gorgeous private backyard with fabulous trees, patios, fire pit and sparkling pool with spa. Theres even an outdoor shower to rinse off. A dream space, where you can relax sipping your morning coffee while watching the birds or barbecuing on the built in grill while entertaining family and friends. This luxurious home with its 5 bedroom, 5.5 baths and 3 car garage is built with the quality every homeowner desires. The home has an incredible floor plan, gorgeous hardwoods, kitchen with granite countertops, Wolf gas stove SS appliances, built in refrigerator and solid doors through out. A spacious downstairs master, split from the other downstairs bedrooms, has its own wing and overlooks the pool. Each bedroom with its own bath and the half bath has access to the outdoor pool area. Upstairs you have a media/ game room, a fabulous craft room, another large bedroom or flex room which can be used as an exercise room or a 2nd game room. There is a wet bar and full size bathroom too! The perfect home for you. Don’t miss this fabulous home-it will not disappoint. 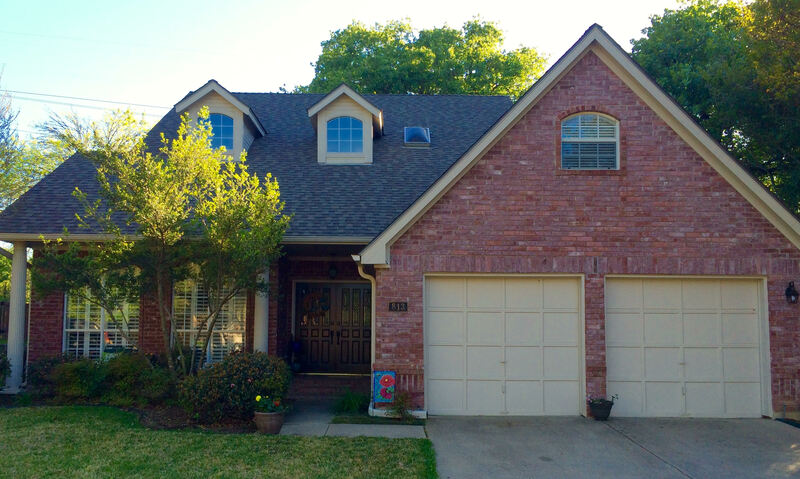 813 Rolling View Ct. Highland Village, TX 75077 – Coming Soon! Professional Photos coming soon click here for a sneak peek! Covered front porch is a great place to relax! Beautiful double doors with leaded glass details…Gorgeous! 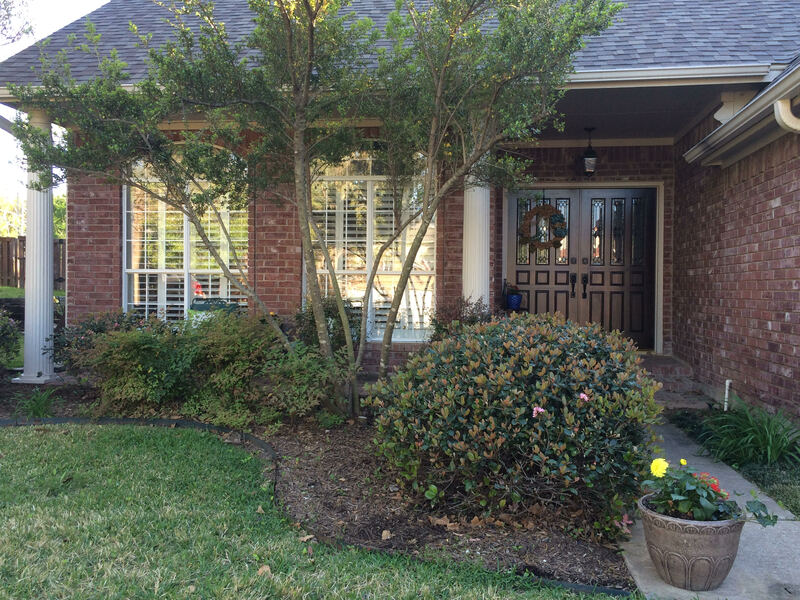 This home sits on a fantastic quiet cul-de-sac lot with green belts and nice privacy! Peaceful location with trails right out the back gate. 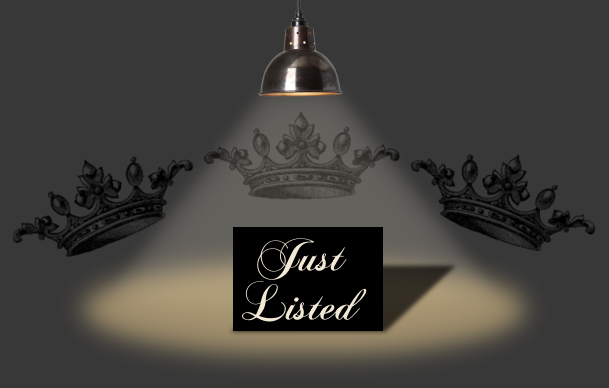 This fabulous 2681 sqft hidden gem is 3 bedrooms, 2.5 baths and a 2 car garage. You will feel right at home when you walk through the beautiful double doors with lead glass details. Master down with updated master bath. All other bedrooms upstairs. Don’t blink or you could miss your perfect home! Kitchen boasts updated stainless steel appliances, with double convection ovens and quiet Bosch dishwasher. Floor plan is ideal for even the pickiest of buyers. Wood floors. Light fixtures have been updated with rub bronzed hardware and lighting is magnificent. Upstairs has game room and an area that could be used for another bedroom or home office or even media room. Storage galore… come see for yourself. Sip your morning coffee in the backyard oasis or enjoy a refreshing drink in the evening. The perfect way to begin or end your day. 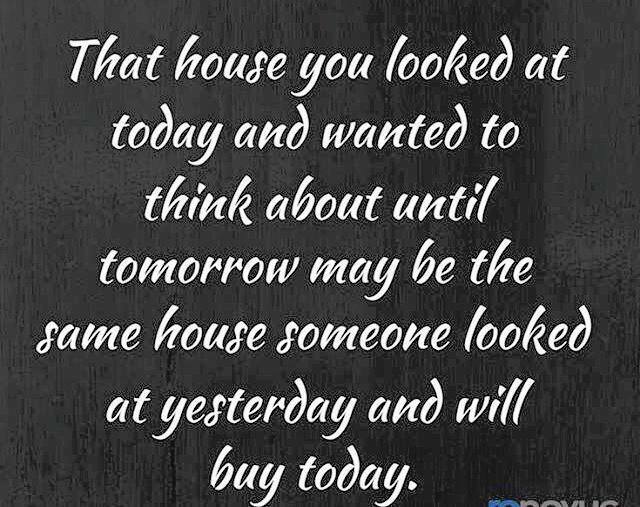 Don’t miss out on your beautiful dream home! This home located in the master-planned community of Highland Shores with its mature trees and rolling hills, has 3 community pools, 8 tennis courts miles of hiking and biking trails. Just a short walk to the shores of Lake Lewisville. This home does not disappoint. For those who live in Highland Shores we know why people come back…its one of the favorite neighborhoods in Highland Village! Shows beautifully if you want a sneak peak before it hits the market schedule an appointment now to see. Going live approximately mid April 2016! For the personalize webpage for this home Click here for more details! Take a look at the link below for more! We have SOLD this home! Above asking price so tour is no longer available! This beautiful 3 bedroom home is gorgeous inside & out. Walk through the leaded glass front door into an inviting living room with marble and wood flooring, exquisite coffered ceiling, plantation shutters overlooking the backyard oasis. 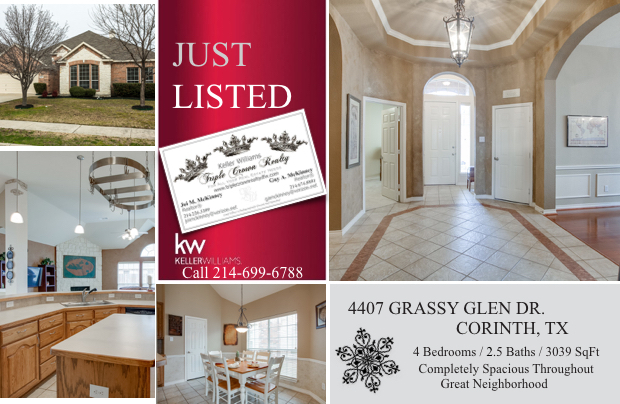 This home has a great feel and open floor plan with custom details & crown molding. A custom designed TX wet bar for entertaining. Large updated kitchen with granite countertops, bar and breakfast sitting area. Ideally located rooms for privacy and entertainment. Bronze fixtures, ceiling fans, etc. Master bath has luxurious claw tub and separate shower. Lead glass entrance is simply stunning. Beautifully landscaped backyard with gunite pool and patios for entertaining or relaxing. This home will not disappoint! Click on Virtual tour above for all the details and pricing! Kitchen has a walk-in pantry, window seats in breakfast area and large breakfast bar for morning danish & coffee which is open to family room. A cozy corner gas log fireplace for those winter evenings, built-ins wired for surround sound. Spacious master suite w.garden tub, dual vanities,separate shower & large walk-in closet. Split bedrooms are the perfect size and if you don’t need the 4th bedroom it can easily be used as study or home office. Convenient to shopping,schools & community parks. This house will not disappoint. Former Model Home – super spacious inside – you would not know it from the exterior. 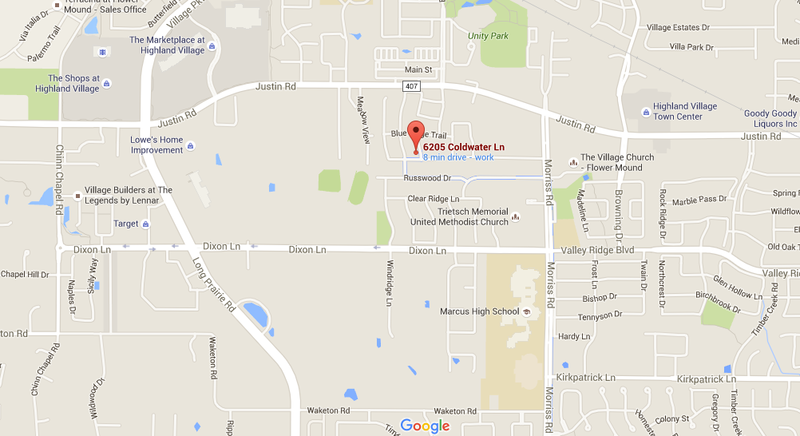 Close to shopping and easy access to I-35 yet in a quiet neighborhood. This home has a fabulous floor plan with kitchen open to the family room so you are a part of the family! 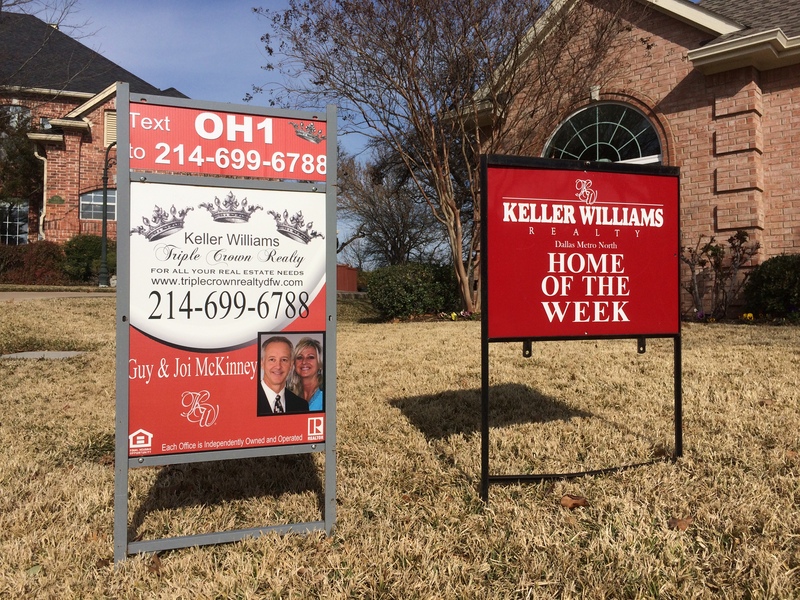 780 Oakwood Ct. – HOME OF THE WEEK! This beautiful home was just voted home of the week! 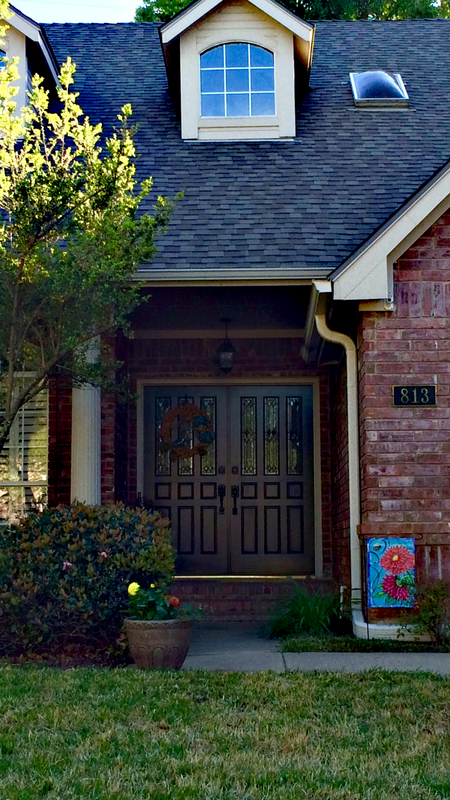 Our wonderful Keller Williams agents of about 18 toured the area homes and they chose this to be the winner this week! We are thrilled for our homeowners too! They have a beautiful home. Click here for SNEAK PEEK OF THIS HOMES WEBSITE! Located on a private cul-de-sac in the lakeside community of Highland Shores. 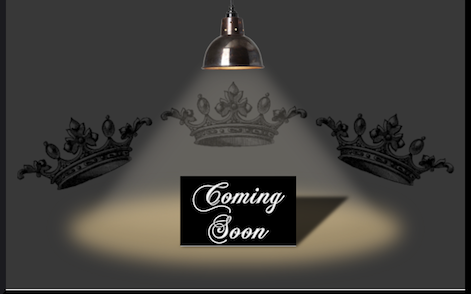 Happy New Year…..look what the New Year has brought in-going live January 1st 2016!!! 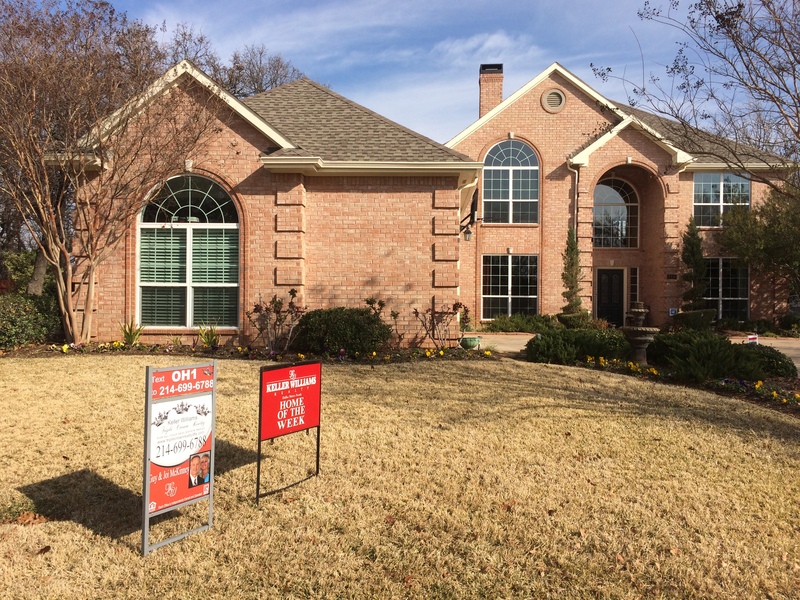 We are so excited to bring you another fabulous home in Highland Village! 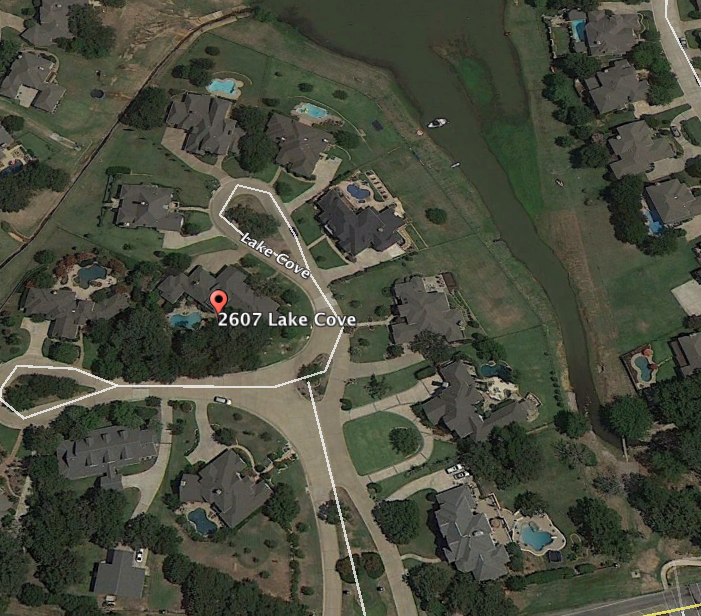 A perfect location in Highland Shores the community that is nestled up to the shores of Lake Lewisville. 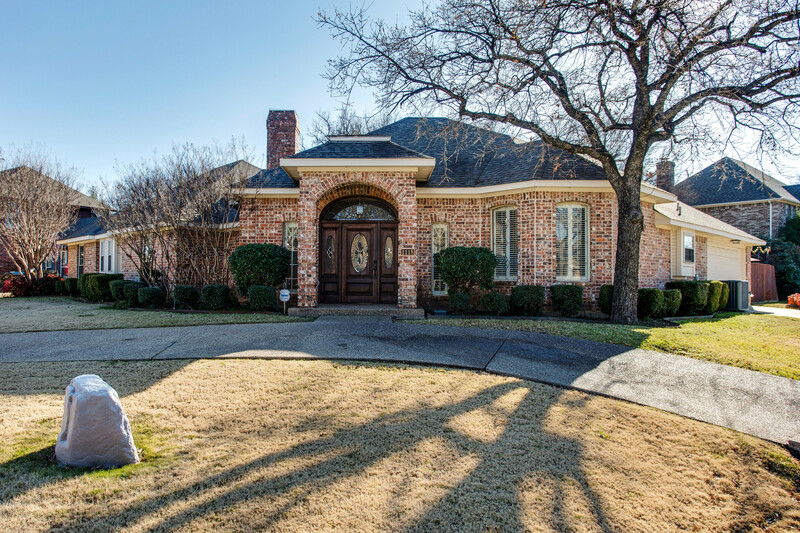 It is a well sought after prestigious neighborhood of Highland Village. 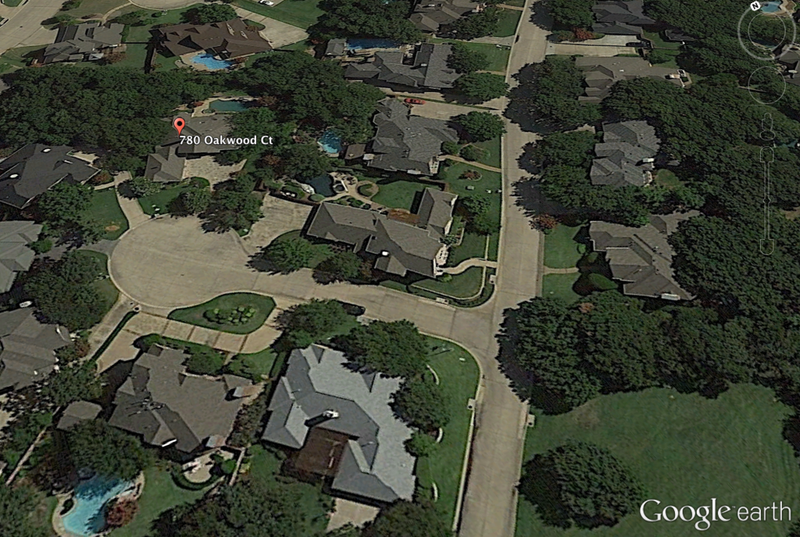 This home sits on a fantastic lot with green belts and space between your neighbors! Private cul-de-sac with very little traffic, this fabulous 3830 sqft find is 4 bedrooms, 3.5 baths and a 3 car garage. Master down with updates galore, including granite countertops, stainless steel appliances, interior decorator colors and faux finishes to appeal to the pickiest of buyers. Wood and tile floors and updated master bathroom. Rub bronzed hardware and lighting is magnificent. Formal living is also used as a second study. A backyard oasis with a covered patio overlooking a pebble tech pool with diving board and spa, including a slide! Pool built by Premier Pools. There are 3 community pools, 8 tennis courts miles of hiking and biking trails. Just a short walk to the shores of Lake Lewisville. This home does not disappoint. For those who live in Highland Shores we know why people come back…its one of the favorite neighborhoods in Highland Village! Shows beautifully so schedule an appointment to see as soon as it is ready on January 1st 2016!